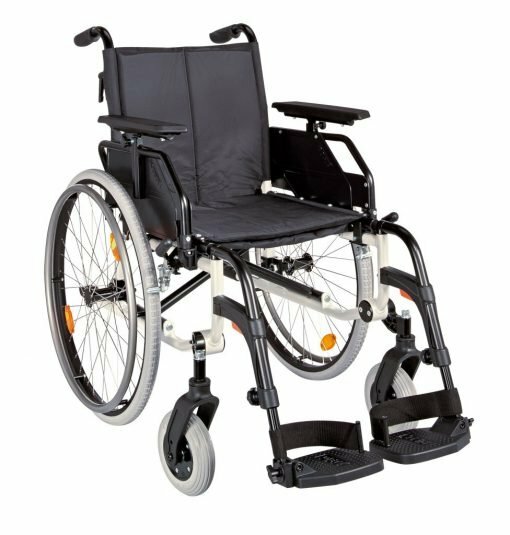 The CANEO 250 (65cm seat width) XXL has been specially designed for the larger heavier user in mind. 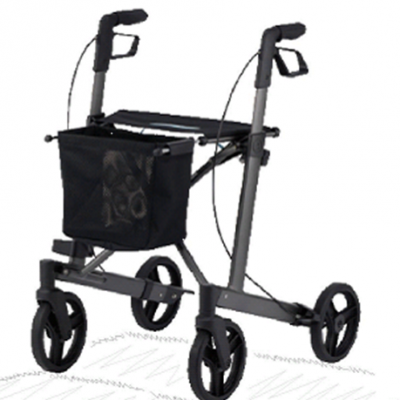 The Caneo is an impressive design, setting new standards for entry level folding wheelchairs. The frame design guarantees a peace of mind and offers greater stability than ever before. 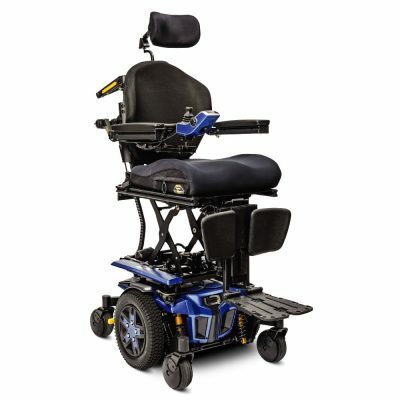 The comprehensive standard functions meet the highest levels of user-friendliness, for example – its separate re-enforced foot rest that allows the user to rest tired/heavy legs in comfort without foot plates flexing with the load or the overall seating adjustability to assist with providing the best possible seating outcome for the user. 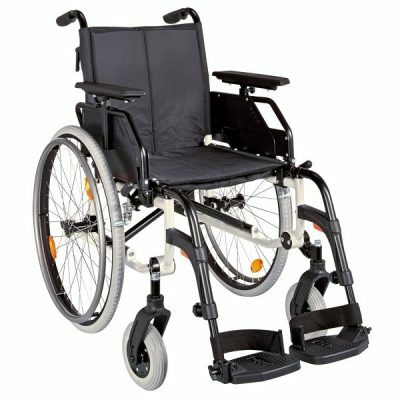 Seat width 65cm, Seat depth 40-44cm, Seat height 44-47cm, Backrest height 43cm, Armrest heights 23cm, Gross weight 28 kg and Net weight 23 kg. ■ Separate re-enforced aluminium foot rest that attaches/slide over existing swing-away foot plates.